About ten years ago, I decided that the web was not only here to stay, but that it was likely to become a dominate aspect of how we go about marketing. At the time, I could have teamed up with web developers and as I do with other production vendors such as printers and sign companies, remain focused on design and let them deal with the technical end of production. However, in designing for those other disciplines I had hands on experience to bring to the table. I had no experience in the structural aspects of how a website was built and functioned. To make matters worse, the web world was dominated by code. I have great mechanical ability and instincts, but show me a page of code and my blood runs cold. In transitioning from hands-on graphics to computer graphics back in the late 80’s, I was faced with similar problems. What saved me then was the advent of graphics software that provided a codeless interface allowing me to focus on design. So I purchased a copy of Adobe Dreamweaver, web development software, and that allowed me to enter the strange universe of the internet without becoming a programmer. This was a big learning curve for me, but eventually I managed to develop stable websites that functioned smoothly and consistently, making it possible to put my focus back on design. Because of that, I am not only able to build fairly complex sites, great for small businesses, organizations and professionals, but I am also able to work with more advanced web developers for more complex projects and provide them with design concepts they can easily work with. Most small businesses do not have the budget to both create and then maintain a website, yet lack the skills necessary to maintain it themselves without corrupting the site in some way. However, sites that don’t regularly change and evolve tend to get ignored by the search engines. To remedy this situation, I began encouraging my clients to add a free WordPress blog to their sites. The free blogs use templates that are well designed but limited in terms of customization. That said, they are easy for any business owner to make changes or add to, including both text and images and those updates are great for attracting the search engines. What I’ve been doing is creating a website to serve as a showcase for your enterprise, since the design possibilities are not restricted by templates and integrating a blog feature into that so that it feels like part of the site. My clients are then able to make changes and regular additions to the blog portion of the site while leaving the showroom (website) intact. This provides a healthy blend of consistency and change without breaking the bank. The website can be an economical, single page site or it can be made up of multiple pages to help you better detail what you have to offer. 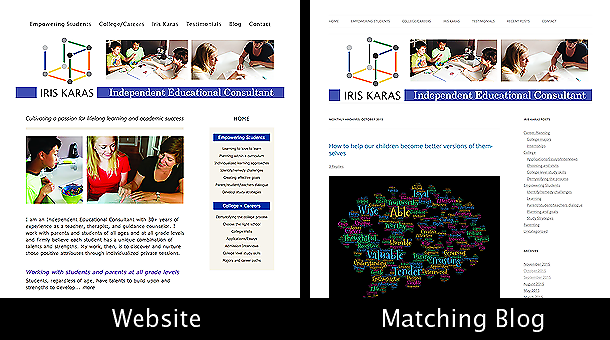 Either way, a blog can be integrated with the site. WordPress blogsites do much more than allow you to blog. 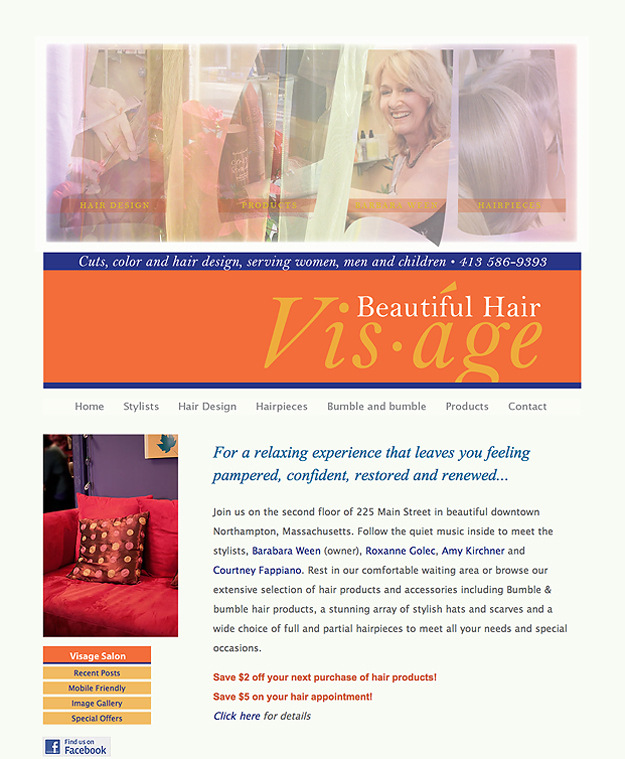 They are websites in their own right with a built in blog option. You do not need to become a blogger to take advantage of these sites. They can be set up more like a multipage web site that can be closely integrated with your main single or multi-page website, the WordPress portion of which you can easily make changes to. I try to set things up so that information that is unlikely to change much appears on your website and information that is likely to change appears on your blogsite. In fact, if you can live with the limitations imposed by the WordPress templates, your blog can be your website. This is a very economical way to go. Conversely, there are WordPress developers out there who can, through code, design outside the limitations of the templates. I can provide them with a design concept and they can build it in WordPress in such a way that allows you to make changes and additions, making your WordPress site, your website. WordPress makes it possible to DIY and is not the only game in town. There are many other free options available for DIY blog and website building. Some are easier to use and some are technically more challenging. You may feel confident about designing within the limitations of the templates offered or unsure about how to visually put things together. They all provide technical and design assistance if you opt into the level of service that requires a monthly fee. If you want the free service plan, but feel technically or visually challenged, I can work with you to come up with a design that works within any particular service including, of course, WordPress. 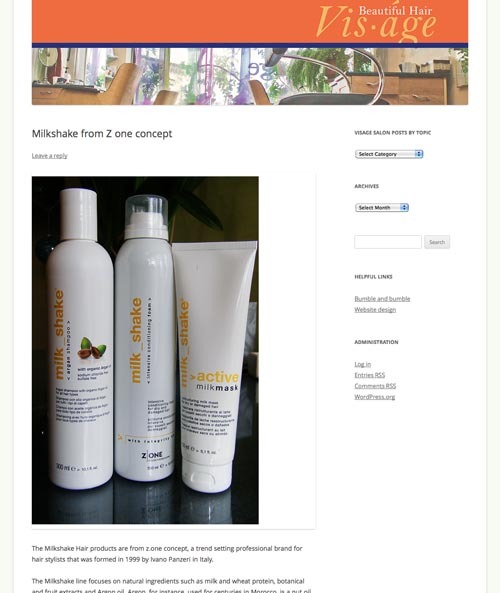 Assistance designing for Do It Yourself web/blog builder. This entry was posted in Web design on June 16, 2016 by jsadlerdesign. I work from my office in Western Mass, serving the Northampton area, but I work with clients from almost anywhere with an internet connection and a phone. That work includes web design, print communication, book design, visual identity development, business cards, interpretive lettering for book titling, signs and display, illustration – anything involving visual communication. Because of the internet and my technical background, I am able to communicate with printers, engravers, sign companies, web developers in your area to get the design onto a production path and in a way that is convenient to you. Here are some examples of long distance work I’ve done in the past. This was perhaps one of the more difficult jobs on the production end from over a thousand miles away. After having created a visual identity for a crafts gallery, I was asked if I could design their sign utilizing an existing, odd shaped projecting sign frame left over from the 1950s. I worked closely with a local sign company and was able to design to fit the odd space exactly. Angles, curves, frame thicknesses, etc. all conspired to undermine the project, but with photos, careful measurements provided by the sign company and my familiarity with materials, we managed to get it right. 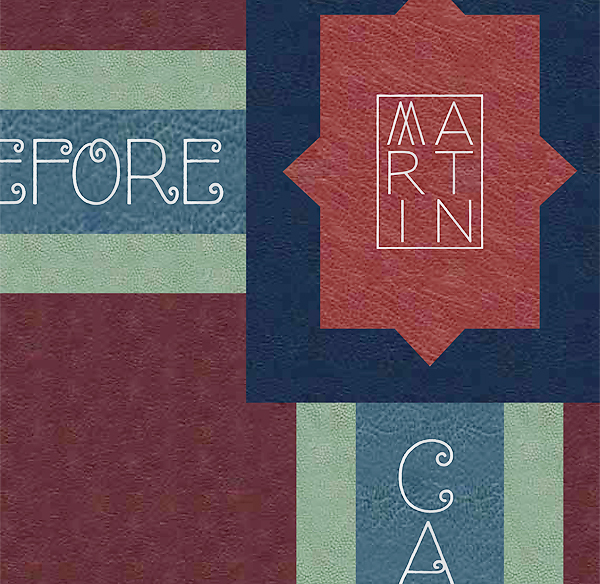 This was the creation of a visual identity utilizing my interpretive lettering skills working with Adobe Illustrator. 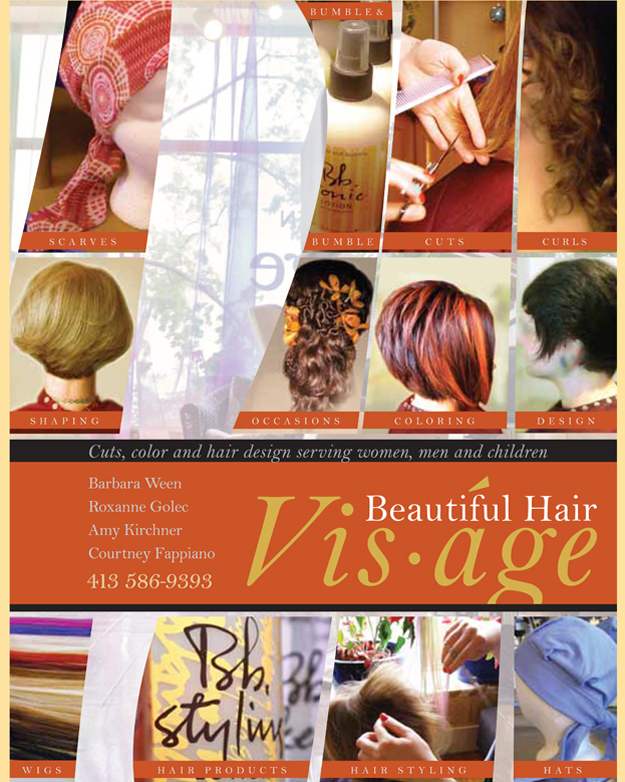 The project was art directed by a San Francisco design firm that hired me for the logotype development. The client was Imagine Foods, a natural foods producer famous for their Rice Dream products. 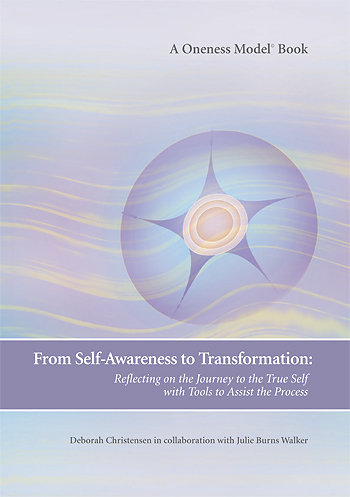 This was a workbook and cover design for the late Deborah Christesen in collaboration with Julie Burnes Walker who together created the Oneness Model. This was a spiral bound workbook loaded with illustrations. At certain times we even managed conference calls between South Africa, Illinois and Massachusetts. Not so easy back in 2008. 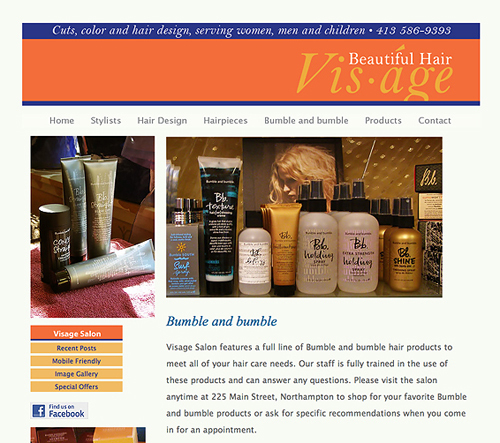 Visual Identity,, website, blog and various print pieces such as business cards, stationery, etc. 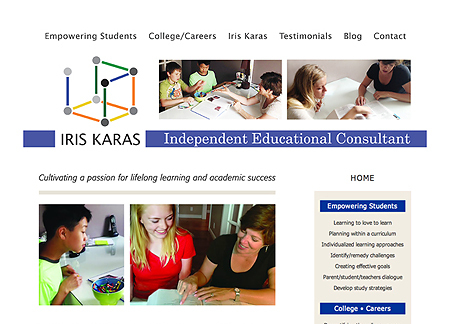 Iris Karas began this consulting practice not long after moving to indiana. Once the website was up and regular posts were being made to her blog, her business grew steadily. 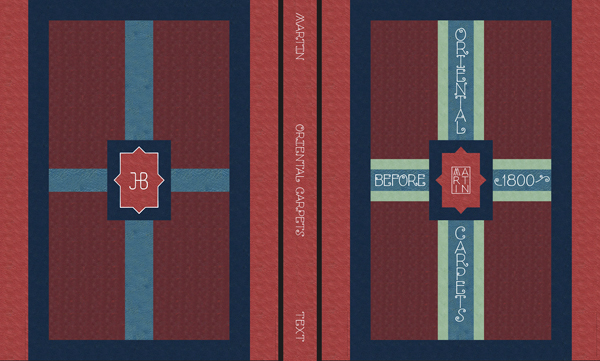 This was a DVD cover design including front (right) back (left) and spine (middle). 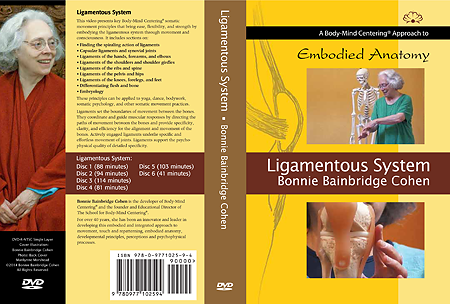 This was part of a series of DVDs produced by Bonnie Bainbridge Cohen founder of the School for Body/Mind Centering. Bonnie travels the world giving workshops and overseeing the training programs she has developed for certification. The DVDs are another method of educational outreach. This entry was posted in Awards and engraving, Book Arts, Book design, Design for print, Digital illustration, Interpretive lettering, Signage, Visual identity, Web design on June 10, 2016 by jsadlerdesign. I design websites, visual identities, print advertising, signs, books – anything that involves effective visual communication that will be busy working for you even while you sleep. And though I have lots of production experience, I mostly work with printers, sign companies, engravers and other production specialists to arrive at the finished product. Printers, sign companies, etc. often employ designers and usually the quality of the design is excellent particularly when the design requirements are pretty straight forward. However, the emphasis and pace in such establishments tends to favor production. My own technical experience does help in terms of understanding the unique demands of these very different disciplines as well as knowing how to prepare artwork for efficient production, but I am first and foremost focused on design and visual communication. For me, the design process comes first and that means collaboration with you and understanding your enterprise, whatever that may be. Our first hurdle is making sure that the right message gets communicated. Once the ideas are in place, I can make them work for you in any number of ways and with great efficiency because of my experience working with the various production options available. That saves you from a lot of running around and allows me to make sure that your ideas are being communicated in a consistent manner, maintaining the highest standards. This entry was posted in Graphic communication, Marketing, Thoughts on Design on June 10, 2016 by jsadlerdesign. 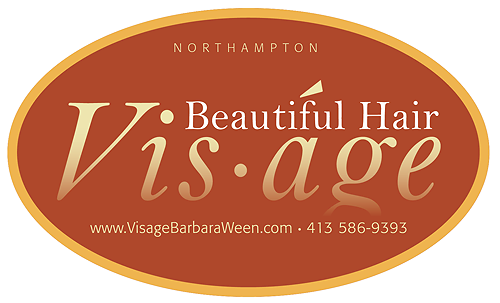 When Barbara Ween, the owner of Visage Salon in Northampton explained that she wanted to frame and hang some prints of original watercolors that she purchased from a painter she was studying with, I figured no big deal. That is until she explained that she wanted the prints to appear to be floating off the wall. I told her I would give it some thought and get back to her. It was an intriguing idea, but after researching it online and talking to some frame shops, I discovered that there were possible solutions but they all incolved some major roadblock. So I decided to come up with my own plan. 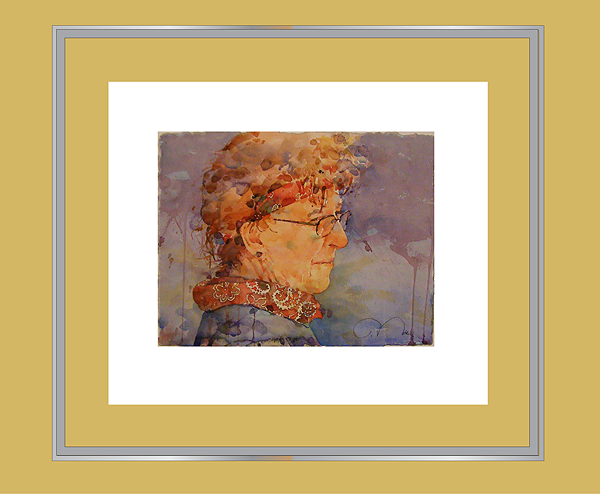 After considering a number of options I started with an aluminum sectional frame, designed to hold canvases and arranged it to hold two pieces of plexiglass, one in the front and one in the back and separated by 1″ spacers. 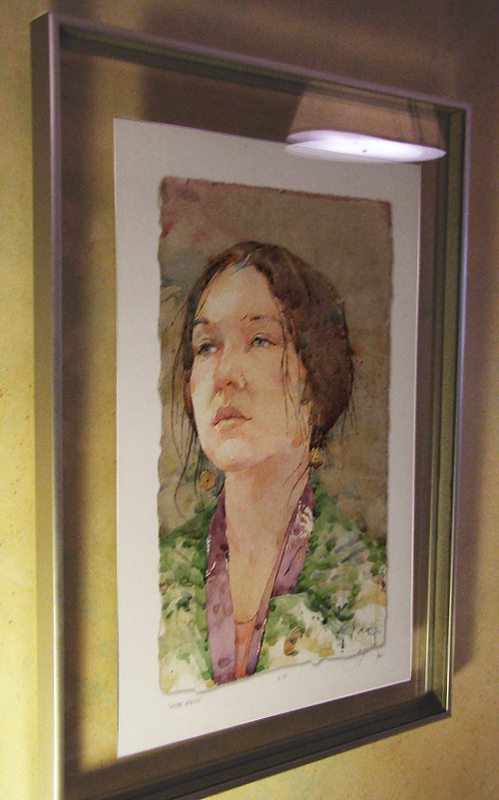 This left an ample interior space to hold the floating print. I bolted a quarter inch panel whose dimensions were slightly smaller than the print, to the back piece of plexiglass and then covered that with a slightly larger mat board, same size as the print, to mount the print to. I then hinge-mounted the print to the mat board and assembled the whole unit. We ended up hanging these using clear fishing filament, but my plan B was to use a cleating system behind the panel on the back plexi that would have hidden completely the hanging mechanism. The frame would then appear to be mysteriously floating in front of the wall with the print magically floating inside the frame. 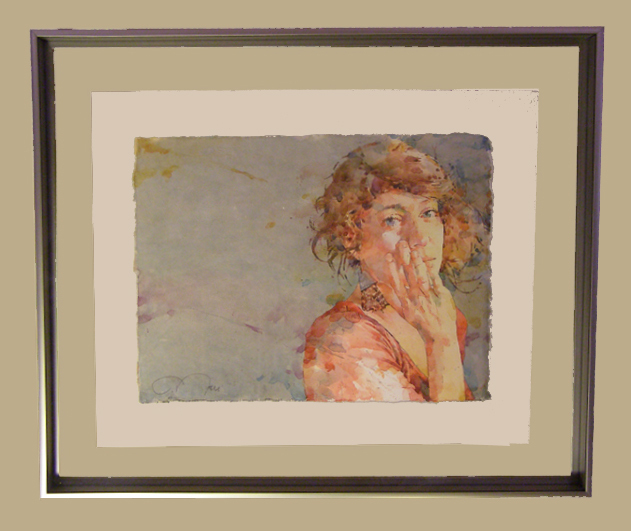 The paintings are all surrounded by a white boarder, but between that border and the metal frame, the viewer sees through to the wall behind the print. Barbara now has floating prints and a unique presentation. The image at the top of the page is the concept designed to scale, showing what I had in mind. Below is one of the prints viewed head on and below that, another viewed from the side. In addition to designing signage, I also work on the design of interior display including storefronts and trade show booths. Though I’m not a framer by trade, I consider this an aspect of display design and as with many other areas of my work I mostly concentrate on the design and work with vendors (sign companies, printers, engravers, display fabricators, etc.) to focus on production. In this case, I was able to do the production and installation myself, since I couldn’t find a resource to take on this rather unusual project. This entry was posted in Display, Signage on May 2, 2016 by jsadlerdesign. Early on in Sandra Boston’s life she decided to head down a road less travelled by. That road has taken her around the world and into the hearts of those she encountered. In this memoir, Sandra details her journey and what it has meant to her along the way. 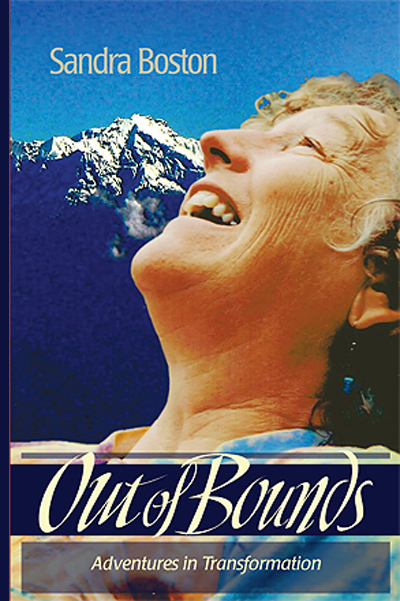 She asked if I would help her with her cover design for Out of Bounds: Adventures in Transformation. I agreed, and working with photos taken along her journey I developed a design concept for the front and back covers. At first, I used a font for the book title, and though it looked fine, it somehow didn’t quite reflect the sprit of Sandra’s life. So I custom designed an original hand lettered title – what I refer to as interpretive lettering. Sandra was on board as soon as she saw it and the book was soon thereafter published. Above is the finished book cover and below is the artwork I developed using Adobe Illustrator and incorporated into the cover. This entry was posted in Book design, Graphic communication, Interpretive lettering on May 2, 2016 by jsadlerdesign. For the past five years I’ve spent nearly all of my full weekends remodeling our home. It was a lodda work, but well worth the effort. 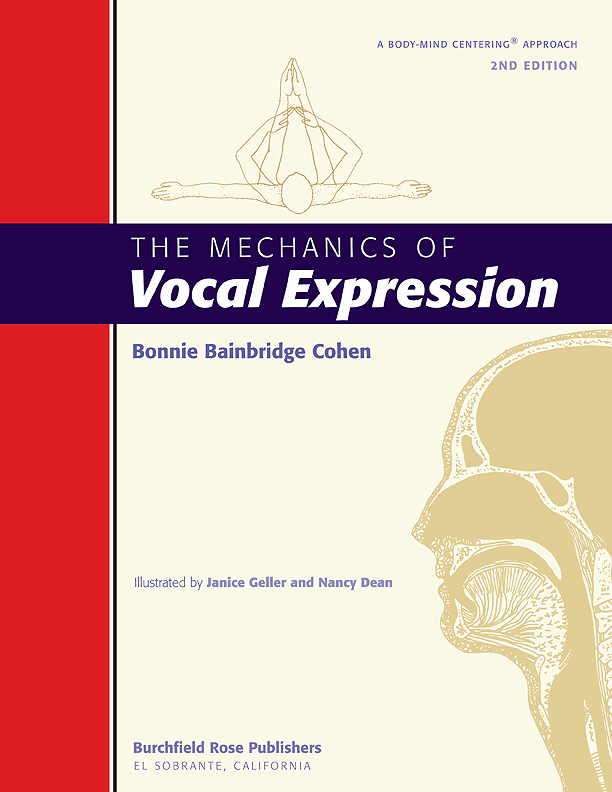 The book is called the Mechanics of Vocal Expression written by Bonnie Bainbridge Cohen, author, teacher and founder of the School for Body-Mind Centering®. The first edition, published in 1985, was typewritten and photocopied with pasted in illustrations. 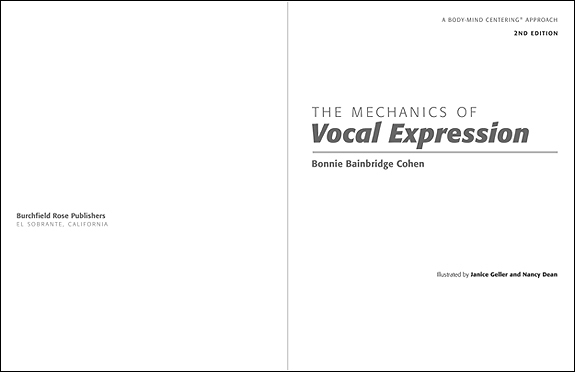 This was pretty limiting in terms of design options, but the book was well received and treasured for its content..
Fast forward a little more than twenty years when Bonnie first approached me about the redesign. By then the technology was actually making it possible to design books using a personal computer with all the design tools a designer could dream of. 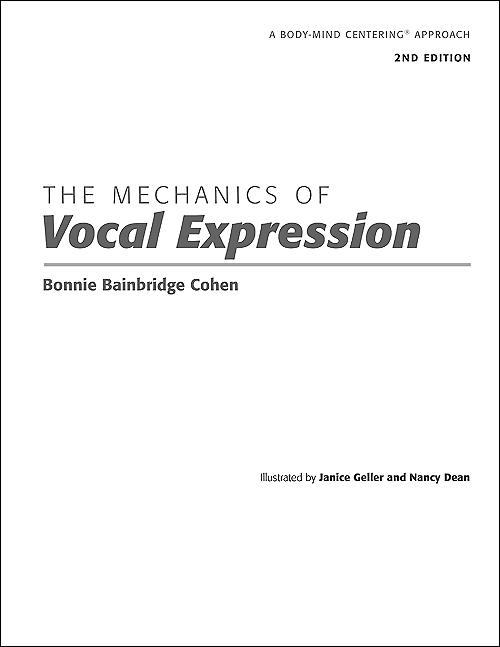 And so the process began with Bonnie revising and updating her original text and me working out how to organize the material so that it was visually user friendly as a work book. Bonnie makes extended visits to locations around the globe to take people through her extensive course and training programs. The book had to be worked in around this intense schedule which was the main reason the project took so long to complete. i first met Bonnie and her husband Len back in the 1970’s when they first arrived in the Amherst area. I have worked with them on several projects over the years and now with their kids who are handling various aspects of the operation. Together, they’ve touched a lot of lives in really positive ways centered around Bonnie’s work. 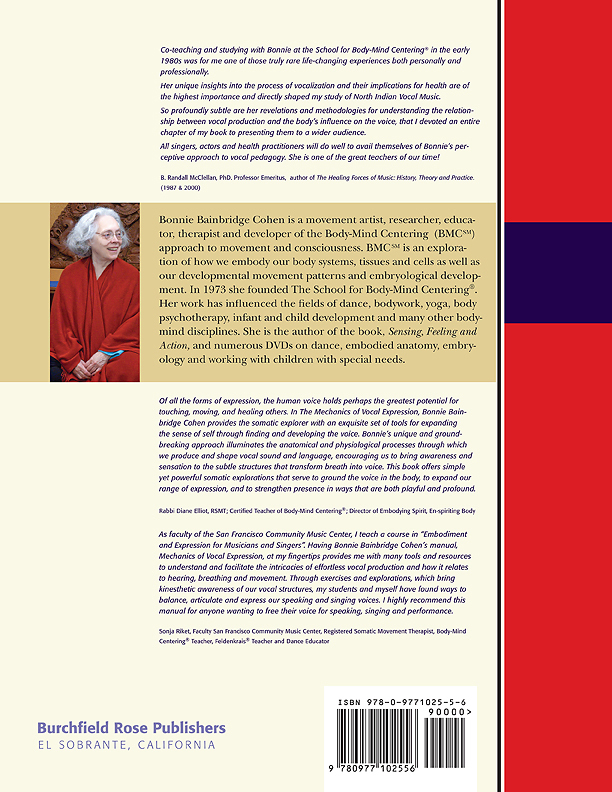 To learn more about Bonnie’s work visit the Body-Mind Centering website and/or Facebook page. Here are some pages from the interior of the book. 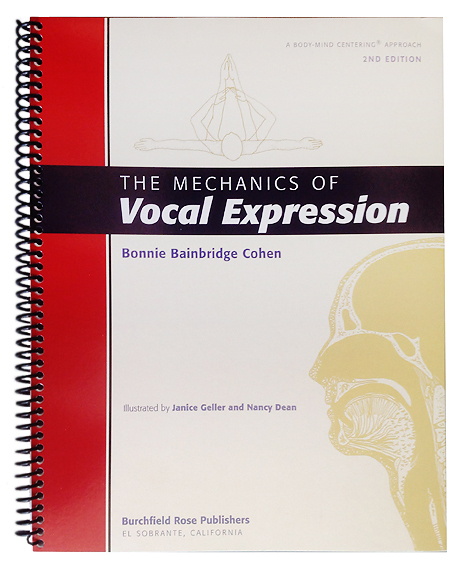 There are several sections to this workbook with chapters containing instruction with illustrations as well as exercises for the reader to practice. The title page above, sets the tone of the overall layout. Here is the title page spread as would be seen when the book was open. 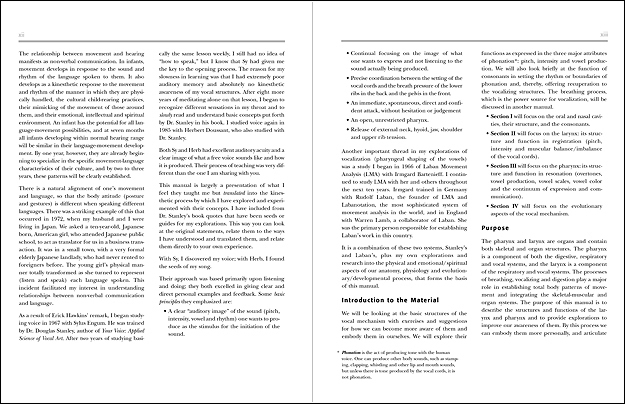 The above layout is a spread from the book’s introduction. Here is a spread showing a section opening. 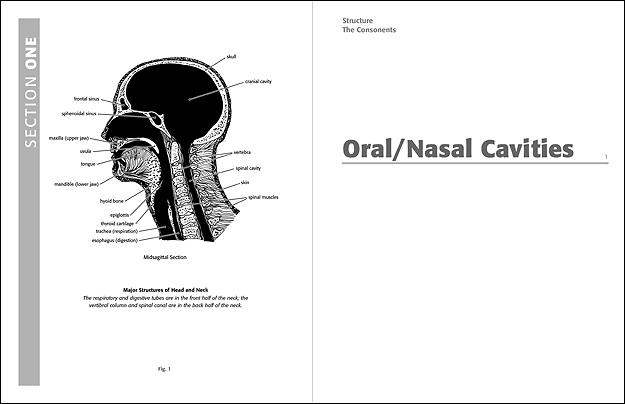 Above is a typical chapter page containing instruction, illustration and exercises. This is the back cover and below is a cover shot showing the spiral binding, The spiral binding makes it possible to perform the exercises, some using the whole body, without losing one’s place. 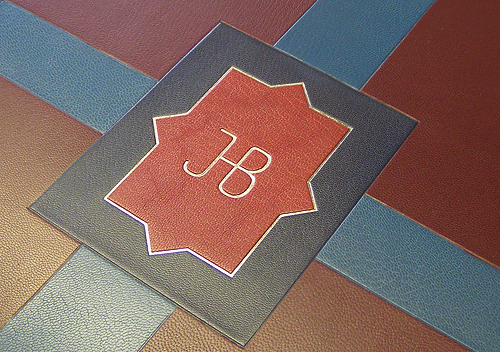 The book lays flat on the floor or table when opened without springing closed. This entry was posted in Book design on April 29, 2016 by jsadlerdesign. I focus on designing websites primarily for individuals and small businesses and I’ve developed an approach that is fairly simple, but effective given that my clients sites are all on or near page one when the service and region are typed in a search, such as in my case where someone might search for graphic designer, Northampton Mass. But for me the key issue is having a place to present yourself to your community and beyond in the most complete manner possible. In other words, all of your marketing efforts, both online and traditional point to your website as the place where visitors can discover your unique story, one that expands, grows and changes as your business does. It is by far the most cost effective and convenient way to get that story across. I recently visited a restaurant after having researched it online. The decor and the dining experience were way out of synch with what was posted online. The restaurant in the website was great and I was really looking forward to visiting. The restaurant in the flesh was a real disappointment by comparison. Perhaps if my expectations were more in line with the reality, I wouldn’t have felt so let down. Visually and technically, the site was great, but whoever created it failed to get at the essence of the business and show the reality in its best light. Usually however, the opposite is true. An online presence is created, which is better than no presence at all, but the website falls way short of the reality. Some businesses lose perspective of what they have to offer and undersell themselves. As a web designer, I look for the story and work closely with my clients to make sure their online presence is accurate and fully represents what their business has to offer. Because of my background in branding (visual identity), designing for print and signage, I can then create a seamless marketing approach with the website at its core. All of these things require technical knowledge and expertise that I can provide, but for me it’s all about the story and how to communicate that through words and images. This entry was posted in Business cards, Graphic communication, Marketing, Signage, Thoughts on Design, Visual identity, Web design on February 25, 2016 by jsadlerdesign. 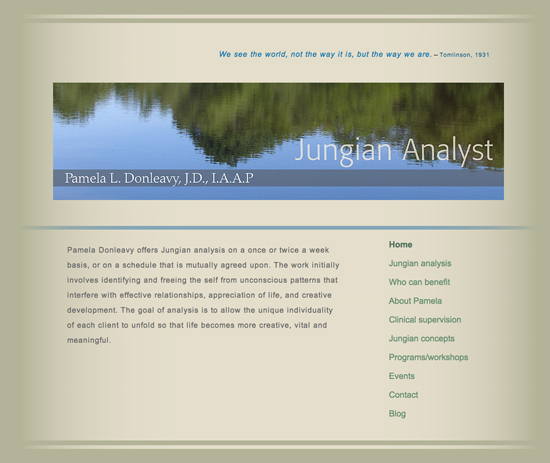 In the summer of 2014, I was approached by Pamela Donleavy a Jungian analyst from the Boston area about a complete redesign of her website. I explained my approach to web design and after a little back and forth we agreed to work together on the site. This is the Homepage of the main site . The first hurdle, and a big one, was establishing rapport with someone over the phone that I had never met in person. I don’t dictate design, but rather, work closely with my client’s, trying to tease out a visual identity that they feel represents them well. Not meeting someone face to face or seeing where or how they work makes that process all the more difficult. So, I asked a lot of questions about her practice. I even emailed a whole list of questions, asking her to answer only those that triggered something in her imagination. She showed me examples of websites she most responded to and I asked her to send favorite photos she had taken or that friends had sent to her. 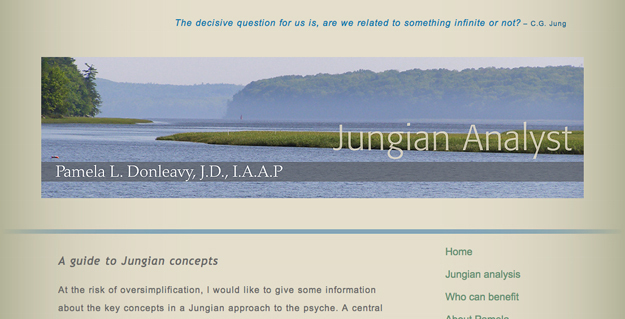 without making the site look either like the History Channel (Photos of Jung etc. ), a Dali exhibition (you know, Jung, dreams, etc. ), or a psychedelic hallucination (mandalas), any of which might scare off potential clients. After looking and talking a lot we decided to focus on representing some of the qualities of mind that clients might hope for as an outcome to the therapy – clarity, freedom, peace and so on. That’s when we started looking at photos in earnest.- lots of photos. In the meantime, I began working on a way of laying out the pages that somehow reflected those qualities just mentioned. One thing that emerged from that effort was establishing the size and proportion to be applied to all of the images. Pamela liked the direction things were heading and by my sending her proof revisions we worked out a color scheme and finalized the elements in the layout. All while that was going on, Pam was busy writing content for the page headings we decided on. We then focused on narrowing down photo choices which I had presented to her in the low, wide landscape format we decided on. Sometimes that meant choosing not to use a particular photo or recropping it, etc. I did several photo shoots so we would have plenty of images to work with and gradually we narrowed things down to a single image to represent each page. At that point I began constructing the web pages and configuring the blog. The method I use to construct pages utilizes a series of rectangular boxes arranged top to bottom and side by side and often nested inside one another. It is a very boxy, hard edged universe that I’ve made it my mission to soften up. One of the things I like most about this site is that other than the main photo, everything else fades into the background. The clarity of the images contrasts well with the softness of everything else. 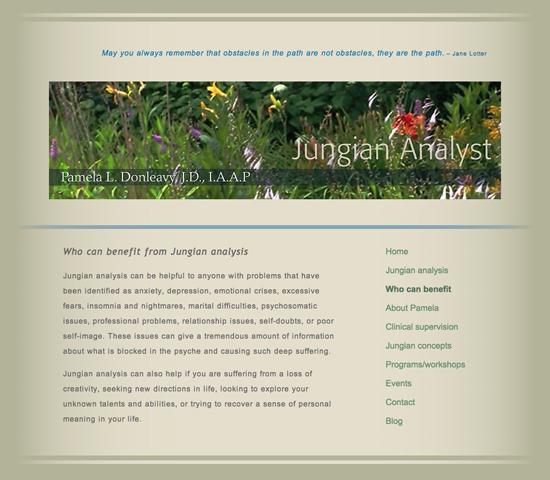 I try, whenever possible to include a visually matching blog closely integrated into the site structure. The blog consists of Posts which appear on the main blog page and moves down that page as new posts are written, ultimately being removed from that page and archived. The blog also contains pages similar in function to most other web pages. WordPress is a company that provides the blog structure that I use to integrate into my clients’ web pages. There are other companies that provide the same service but I’ve enjoyed working with WordPress and I am familiar with how the sites are structured. I do not build my sites using code, at least for the most part and probably never will. For those that do, WordPress blogs can be completely custom designed using code. The rest of us must rely on templates created by WordPress developers. Many of them are well designed and quite beautiful, but ultimately limited in design options for code impaired designers such as myself. 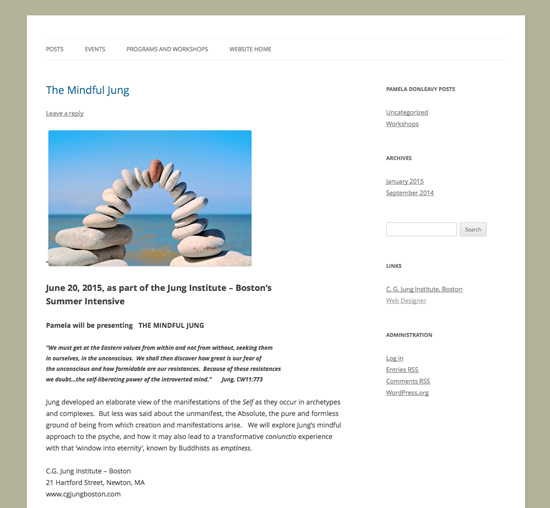 That said, there is still quite a bit of flexibility in how the templates can be configured and I am able to make the blogs bear a close resemblance to the main site. I try to include a blog with the formal website for two main reasons. One is to allow the site owner to add content, words, photos, etc. to the site by posting as well as updating pages that contain information that is likely to change often. It is fairly easy to learn how to post using WordPress. What appears on the main site is the more permanent information about the business that is unlikely to change much. I prefer not to create a dependent relationship with my clients requiring a lot of site updating and maintenance on my part. That brings us to the second reason for the blog. The internet abhors anything static. Websites that just sit there without evolving on a regular basis are unlikely to get the attention of search engines. By updating blog pages and posting regularly, your website becomes more dynamic and that gives viewers a reason to return to learn more about what it is that you do. Pamela’s blog page is shown below. 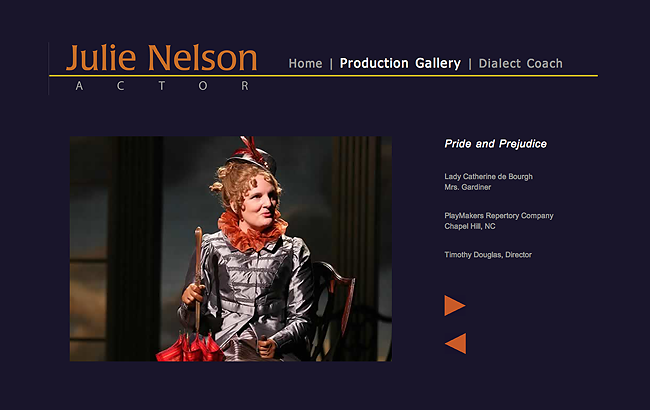 It’s much in keeping with the main site but lacks the subtlety of the main web pages. The blog pages are more functional and somewhat less formal than the main site, but make the whole of the website experience more useful to visitors. 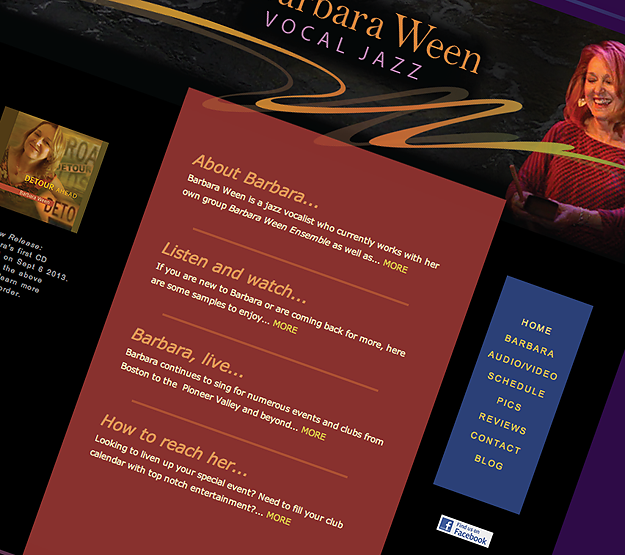 In spite of the distance that made it impractical for us to meet in person, Pam and I were able to arrive at a web design that represents her practice well. The internet really makes such an undertaking possible, but it’s always reassuring when the outcome is such a happy landing. This entry was posted in Social Media, Visual identity, Web design on August 5, 2015 by jsadlerdesign. 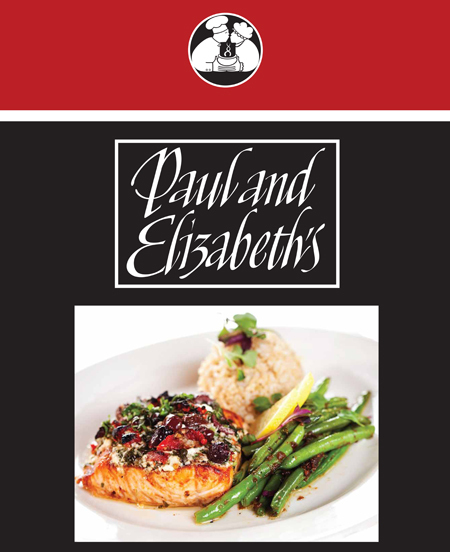 Paul and Elizabeth’s natural foods restaurant is a landmark in Northampton. The owners – you guessed it – Paul and Elizabeth, arrived in Northampton from Boston in probably the mid 1970s. Both were learning the natural foods restaurant business at the Seventh Inn restaurant and school from master chef Hiroshi Hayashi. Paul and Elizabeth wanted to carry forward what they were learning by establishing a restaurant in Northampton similar in concept to the Seventh Inn. My wife and I provided them with a place to stay on occasion while they were in the process of moving and setting up the restaurant. They arrived with the logo image of the smooching cooks for the restaurant made by another designer, but from the beginning I worked with them on various aspects of the restaurant’s visual identity. I went off to teach for several years in the late 1980s and when I returned in the early 1990s, I helped them update their identity. 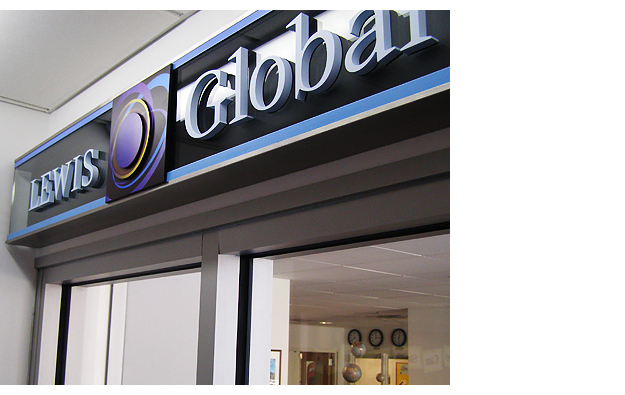 In 2004, after designing full time for a sign materials manufacturer, I went solo again and so on occasion I still do some work for them. The P and E’s logotype shown in the example at the top of the post is a current application of interpretive lettering I did for them in the early ’90s (above). 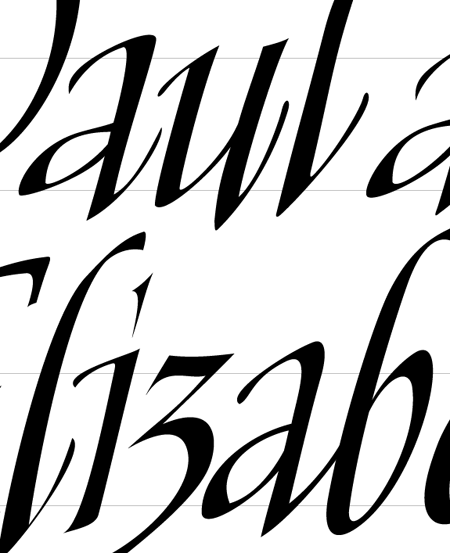 Interpretive lettering is hand drawn lettering that combines the freedom and energy of calligraphy with the precision and finish of a typographic font. I began building these logotypes in the early ’80s using pencil, pen, ink and black and white gouache on paper and in the late 80’s moved to Adobe Illustrator on a computer, of which this is an example. The skill level and the amount of time to develop such a logotype was about the same as hand construction, but the versatility in application was greatly improved as an illustrator file. In the meantime, our kids have grown up, their kids have grown up and i recently got a call from Nate, their eldest son who is now taking over the restaurant’s major responsibilities. 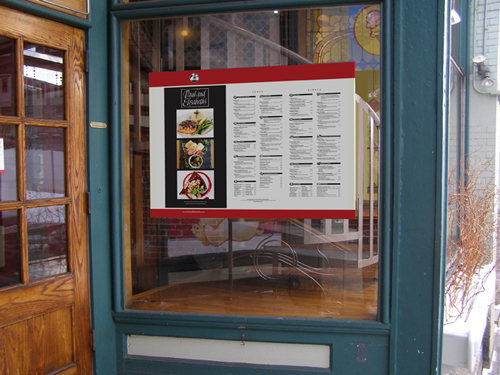 He wanted to update their signage at the front entrance to Thorne’s Marketplace where the restaurant is located, and the menu displays at the front and rear entrances to the restaurant itself. After taking measurements and photos of the site I provided them with a concept that we decided to go with after a few revisions. Boxes had been previously built and installed at the front outside of Thornes and just outside the dining area. Both boxes had glass doors that opened to a cork display area on which they had previously pinned up menus. To make things interesting, I decided that part of the design would be applied to the glass door with the rest against the cork interior. This provided some dimensional interest. At the back entrance, the sign was to be hung inside facing out to the street. I maintained the design concept, but there was no viable way to do anything dimensional. The examples below, are what I showed them for design concepts. I firmly believe in showing a sign concept as it would appear on location. Though the photos look like the final sign in place, the images I’m showing are my designs superimposed over a photo of the window and the boxes. In reality, that is pretty much how the actual signs look in place. Above each concept is the before example of each of the signs. 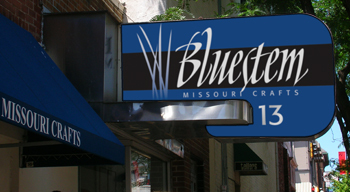 This was the design concept presented for the new sign which is pretty much how the new sign now looks on location. 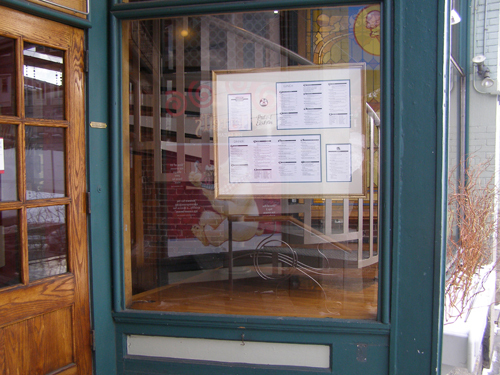 This is how the boxes on Main Street and at the restaurant entrance looked before redesigning. Above (Main Street) and below Restaurant entrance): These were the concepts presented for the new displays and pretty much how they now appear. In both cases the red stripes and logos were applied to the glass and everything else sits on a single panel about 2″ behind the glass. This entry was posted in Graphic communication, Interpretive lettering, Signage, Visual identity on August 4, 2015 by jsadlerdesign. What I love most about my business is working with clients on projects i would have never conceived of. Peter Geraty of Praxis Bindery in Easthampton, Mass. contacted me last January about a project he was working on building a leather bound box, two actually, that would house the plates and text from a rare photographic volume on oriental carpets crafted before 1800. One box would house the large photographic plates and the other the text. Both boxes would need to be roughly 20″ x 30″. The design concept of the two boxes was mostly that of Peter’s client, which Peter then would realize in boards, papers, leathers and hot stamping. This required a lot of back and forth, fine tuning the design application. In order to facilitate that process, Peter asked If, given precise measurements, I could create a full size version of the design on the computer. Since Peter’s client lived out of state, this digital version of the design would allow both to better communicate and make adjustments to the design elements. I assured him that this was possible, so I left that meeting carrying a full size, hand executed, line drawing of the box exteriors marked with exact measurements in millimeters. 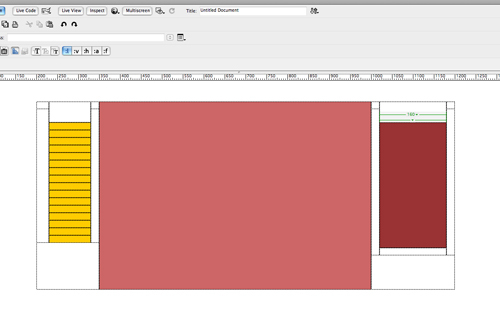 Using Adobe Illustrator, I was able to build a full size accurate version of the boxes showing all the design elements. Once he approved this line rendering, I was able to begin the work of making a full color simulation of how the boxes would appear when completed. Toward that end Peter gave me swatches of the dyed leathers he had chosen for the project along with hand lettered headlines that were to appear on the cover and spine. 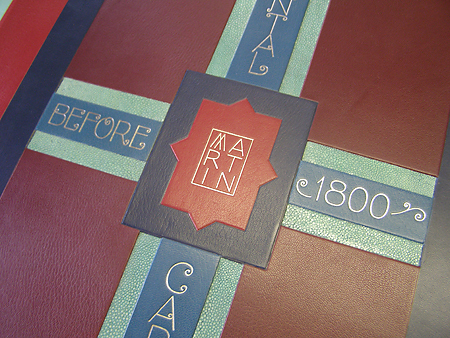 The latter was commissioned by the client from lettering artist Stephen Rapp referencing lettering from the time period in which the book had been published. 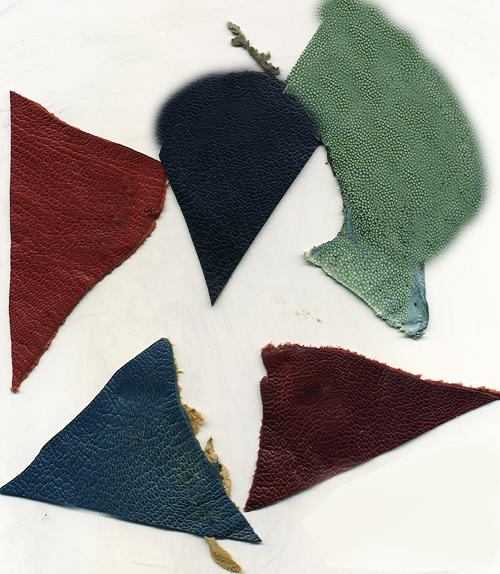 From the swatches I was able to build large samples showing both the texture and color of the particular leathers that I could apply to the elements in the design. I was also able to isolate the individual letters in a word and fill those with a simulation of the palladium leaf that would be hot stamped into the leathers. 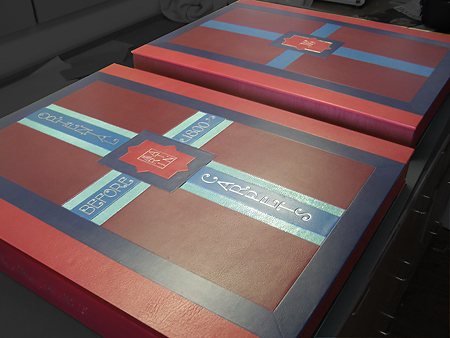 I applied the color textures to the full size layout and then was able to position the palladium letters onto the leathers in such a way that I could easily adjust them as the design evolved. Because I was working at full size, Peter would also be able to take precise measurements regarding the positioning of the stamp dies. Once completed and approved, Peter was able to email his client an accurate file showing how the design would be realized. After some back and forth and a few small revisions, full size prints were made so that the client could get a sense of scale and Peter could have an accurate reference tool as he began hand building the boxes. One bonus aspect of this undertaking was that I was able to provide the die maker for the hot stamping with accurate files for the dies. Typically, when I do this kind of accurate simulation, the files can be used for actual production. In this instance, the production was all done by hand and with such expertise that I was awestruck by the finished product. 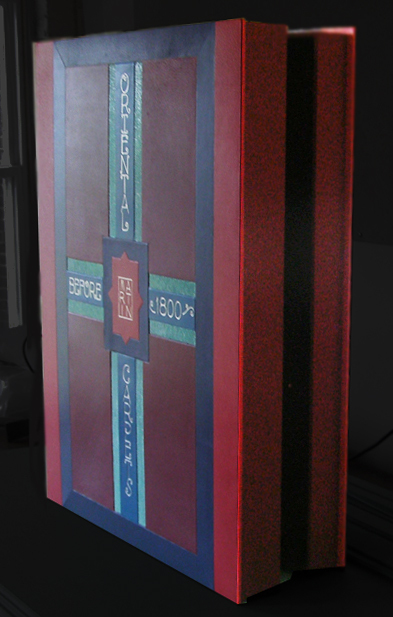 This photo shows the finished box within which the plates or text of the rare volume would be housed. This entry was posted in Book Arts, Book design, Digital illustration on July 10, 2015 by jsadlerdesign.